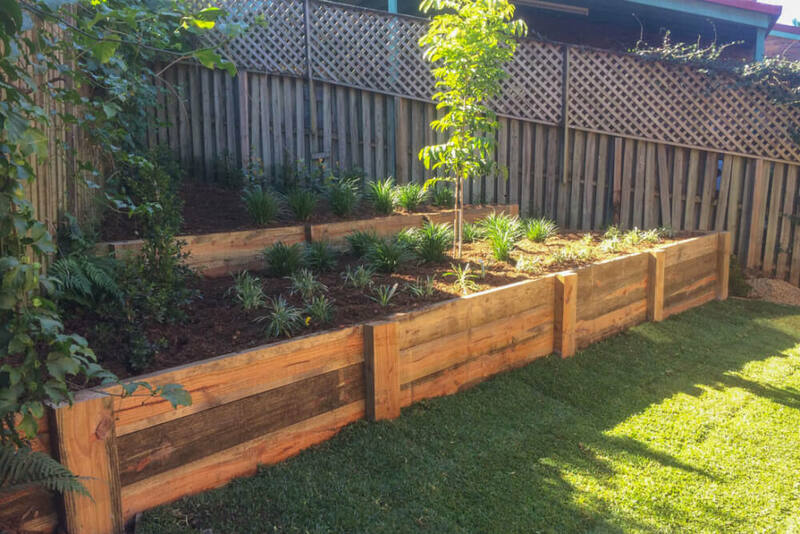 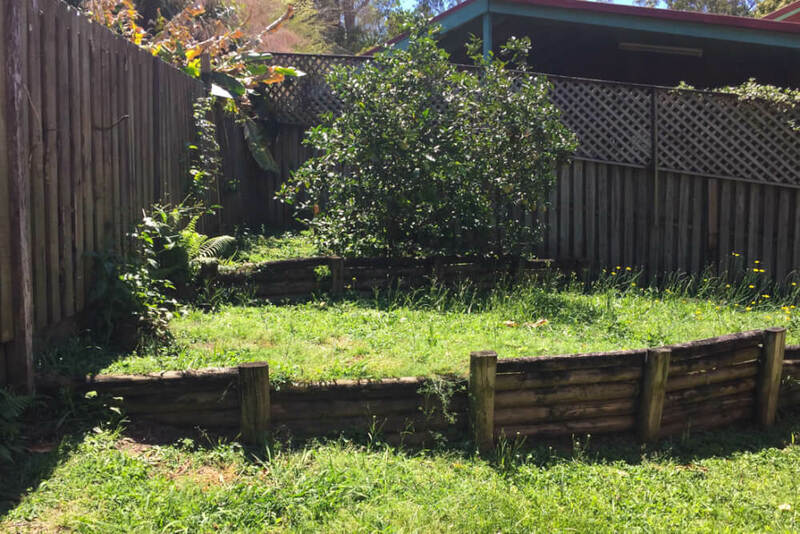 This Benowa landscaping garden was designed with a growing family in mind. 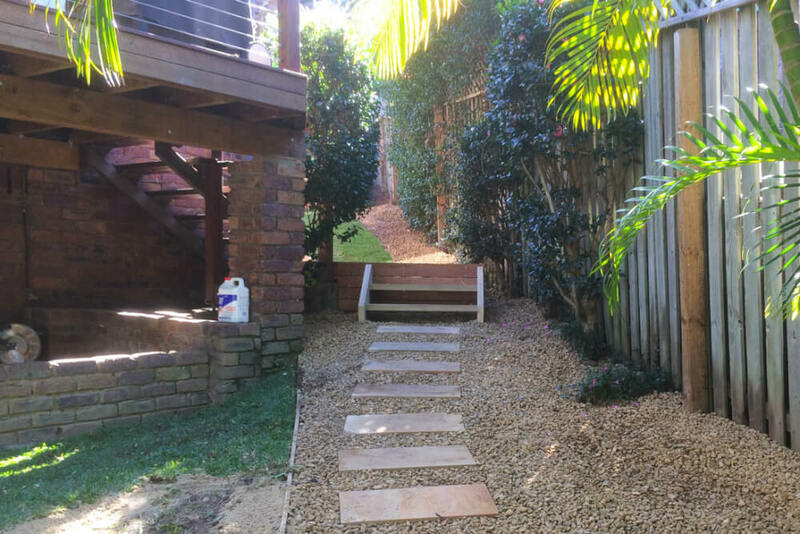 By creating something permanent and beautiful, this Benowa family can now take full advantage of their outdoor spaces. 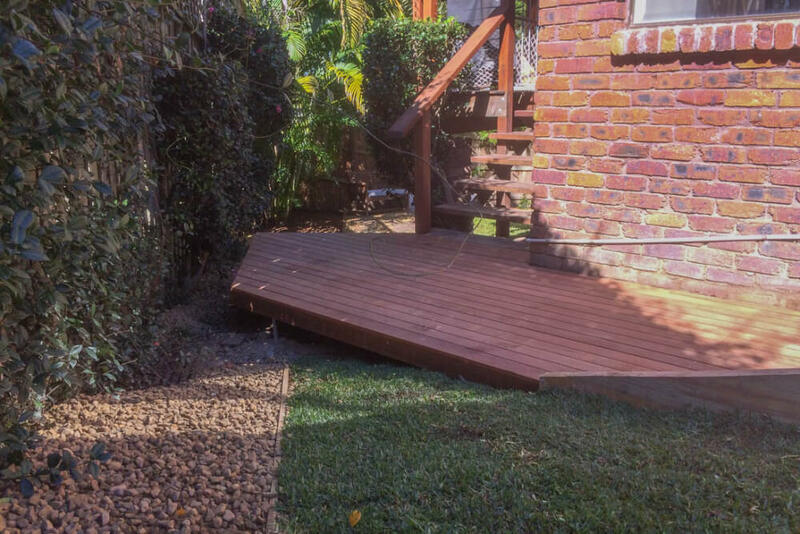 With a new baby on the way, our clients wanted to create a safe way to transition from their indoor spaces and raised deck down into their outdoor spaces. 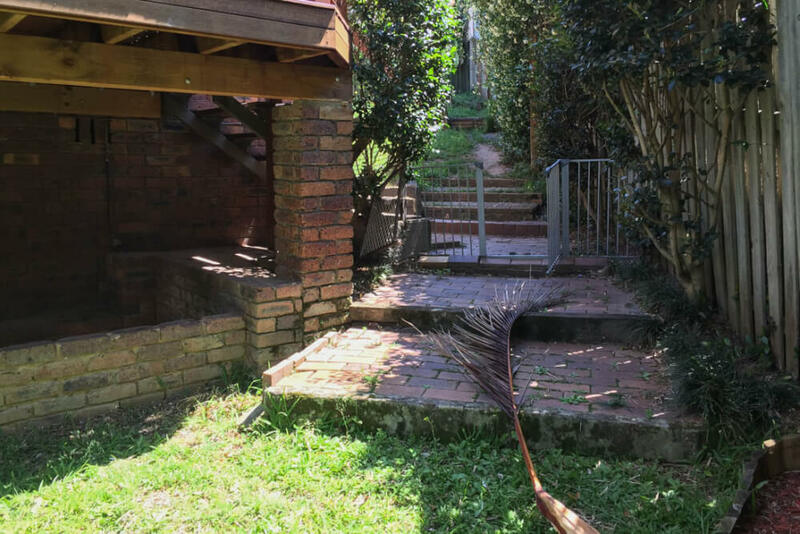 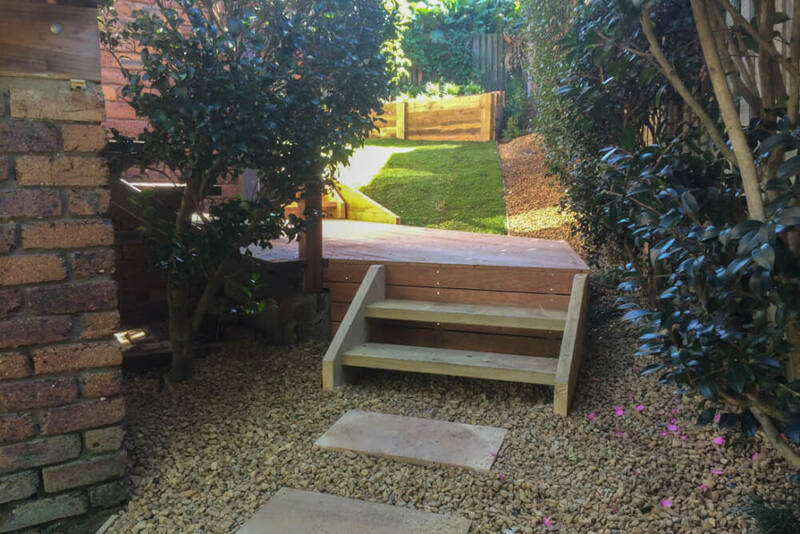 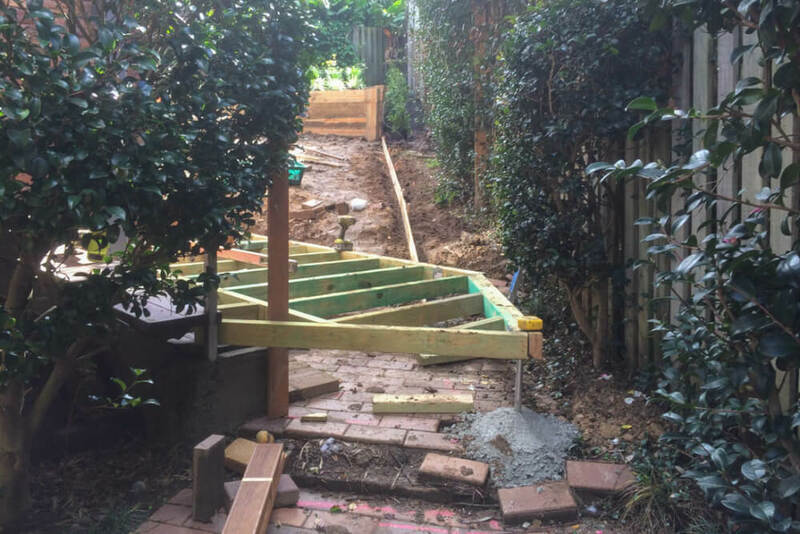 The design for this Benowa landscaping project required a series of small timber landings and steps that linked all the areas together. 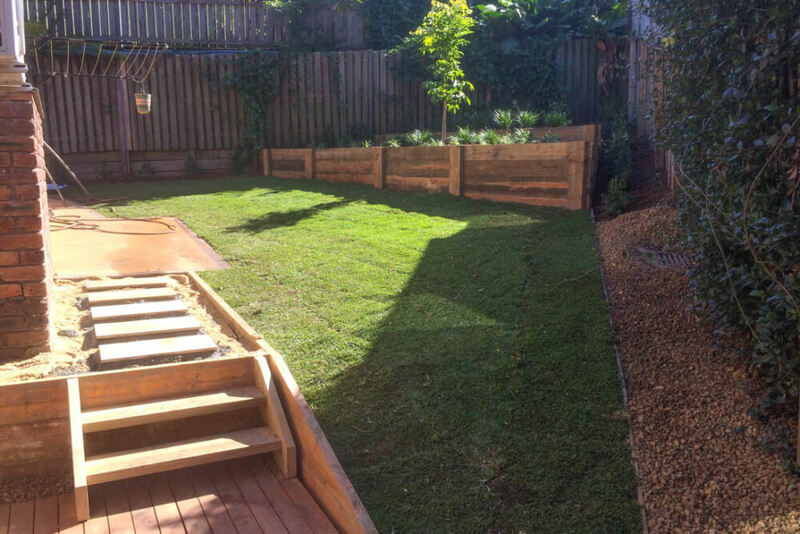 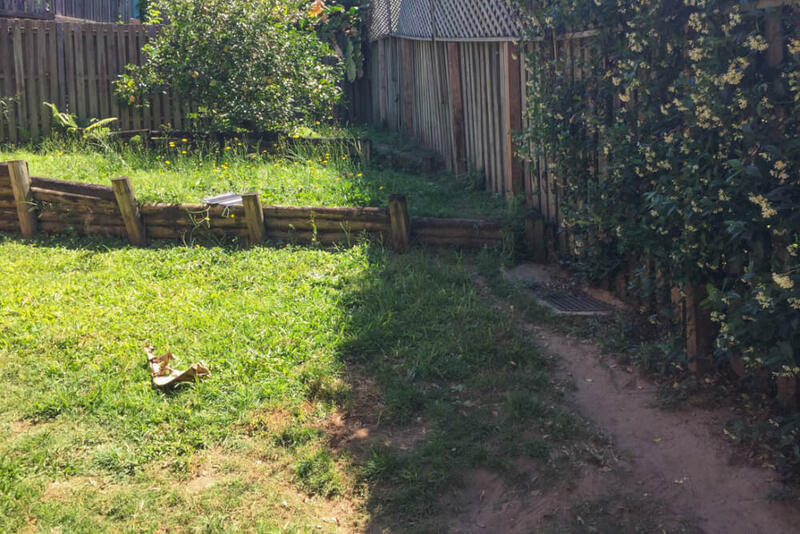 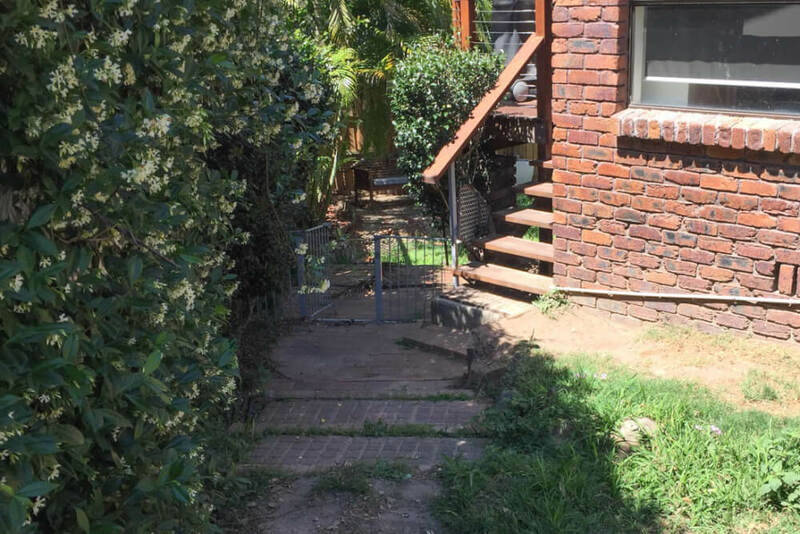 Retaining walls were built to level up up the sloping backyard, fresh lawn was laid to create some usable green space and new gardens were planted in an awkwardly shaped and fenced backyard to beautify the area; creating a gorgeous view from the homes living spaces out to the new gardens.